Scotland head coach Shelley Kerr has named a squad of 23 players for the upcoming Algarve Cup in Portugal. Arsenal midfielder Kim Little returns to the squad for the first time since suffering a broken leg in October, while Bristol City striker Abi Harrison has been recalled after a 13-month period away from the international set-up. 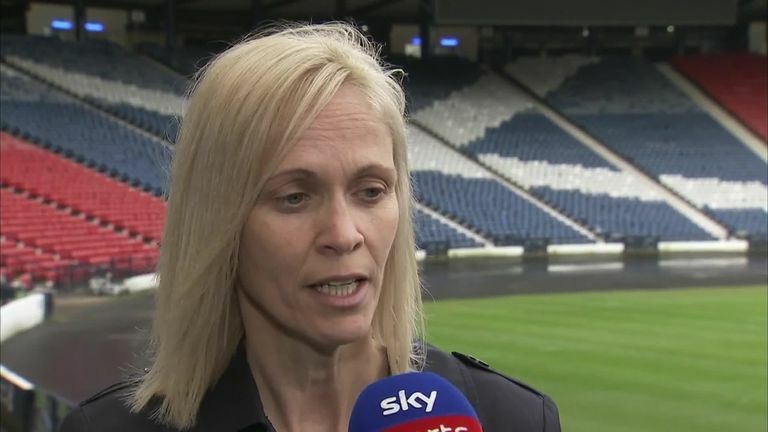 Rachel Corsie captains Scotland after missing January's friendly matches against Norway and Iceland due to club commitments with the Utah Royals. Scotland are making their first appearance at the Algarve Cup since 2002 and will play Canada in their opening game in Lagos on March 1, before they face Iceland in Parchal on March 4. Sweden and Netherlands, who were crowned joint-champions in 2018, will both take part in this year's competition, with seven of the competing team having qualified for this summer's FIFA Women's World Cup in France. Goalkeepers: Lee Alexander (Glasgow City), Jenna Fife (Hibernian), Shannon Lynn (Vittsjo GIK). Defenders: Chloe Arthur (Birmingham City), Jen Beattie (Manchester City), Frankie Brown (Bristol City), Rachel Corsie (Utah Royals), Nicola Docherty (Glasgow City), Emma Mitchell (Arsenal), Joelle Murray (Hibernian), Kirsty Smith (Manchester United). Midfielders: Lizzie Arnot (Manchester United), Leanne Crichton (Glasgow City), Hayley Lauder (Glasgow City), Kim Little (Arsenal), Jo Love (Glasgow City), Christie Murray (Liverpool), Caroline Weir (Manchester City). Forwards: Fiona Brown (FC Rosengard), Erin Cuthbert (Chelsea), Claire Emslie (Manchester City), Abi Harrison (Bristol City), Jane Ross (West Ham United).